Home » California , original meme , Sauvignon Blanc » The problem with Sauvignon Blanc. 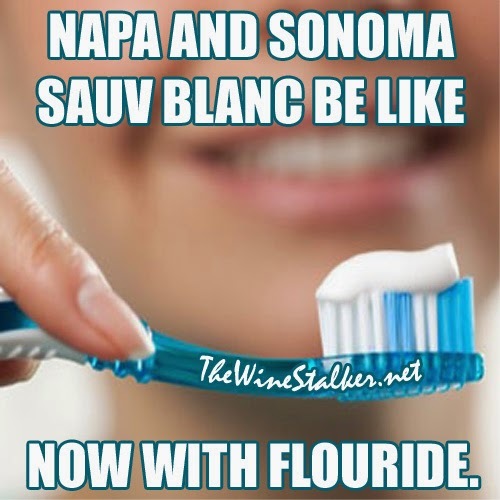 Am I the only one that feels like I just brushed my teeth when tasting Sauvignon Blanc from, specifically, Napa Valley and Sonoma Valley lately? I don't like this trend. It makes me sad.